Current acreage is 13,019; containment on the fire has increased to 32%. Today’s forecast calls for a mostly sunny morning with clouds moving in midday. Isolated showers and thunderstorms are expected from early afternoon into early evening. High temperatures will be 76-79 degrees with minimum humidity of 23-27%. Winds are expected from the NE 5-10 mph with gusts up to 15 mph. Near thunderstorms, winds will be gusty and erratic, with gusts up to 30 mph. North of the fire, crews are securing line along the fire edge and along the contingency line north from Rough and Tumble Creek, and then west to CR 22. Yesterday, the electric company assessed, repaired and charged the lines that were endangered by the fire. Firefighters continue to improve and secure the fire line. Today surface improvements to CR 22 will begin in order to repair impacts from fire suppression activities. 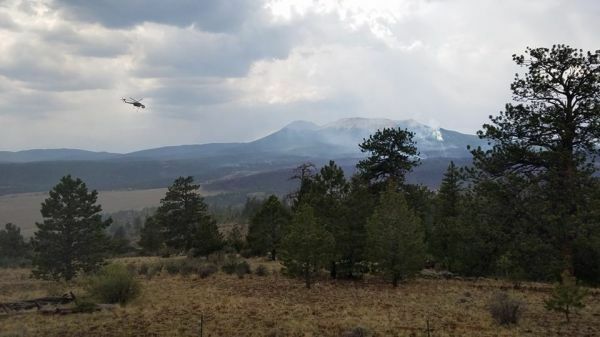 On the east side crews continue to check and improve fire line protecting Campground of the Rockies. This work includes identifying and removing dangerous fire damaged trees. 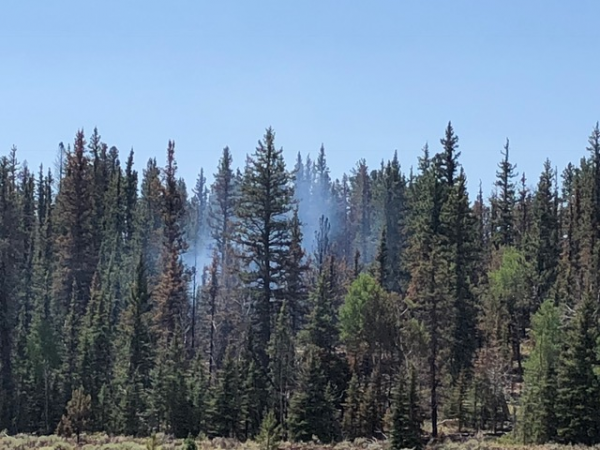 Along the south edge of the fire, dozers are constructing a line to the Buffalo Peaks Wilderness boundary with crews clearing fuels and monitoring the line. The contingency line is complete. Division T crews are removing fuels along FS 435 road to North Salt Creek Trailhead and the Wilderness Boundary. Crews will be using chippers as part of brush (fuel) removal along the contingency line. 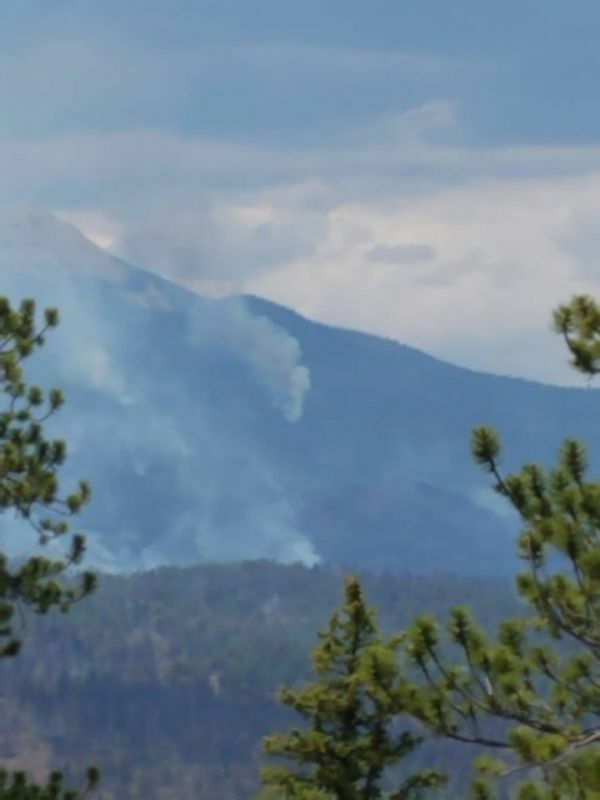 The spotty fire in the Buffalo Peaks Wilderness Area is in thick timber with steep terrain. Today, air resources will cool the fire with water to retard fire growth. 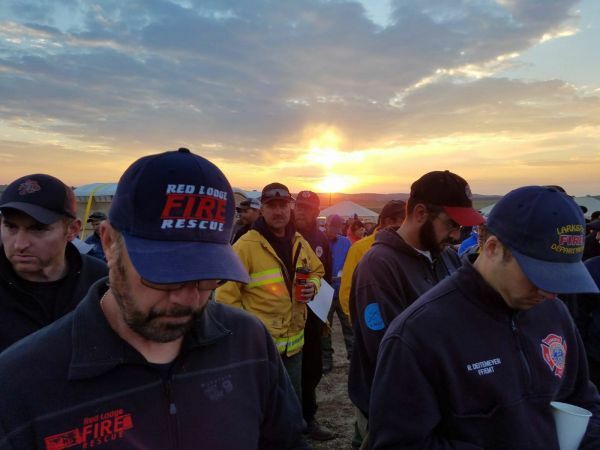 The Structure Protection Group will continue to assess structures and develop a protection plan to mitigate threats to structures in the vicinity of the fire. The Park Co Sheriff and CDOT have opened US Highway 285 to all traffic as of 8:00 AM today. K-MAX maintenance check at helibase with 660 gallon bucket in the foreground. 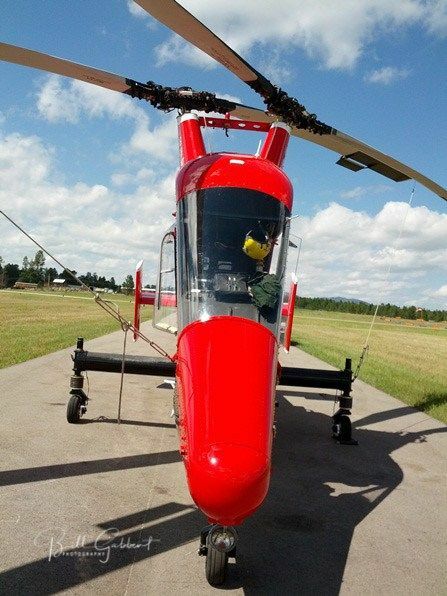 The Kaman K-MAX is an American helicopter with intermeshing rotors (synchropter). 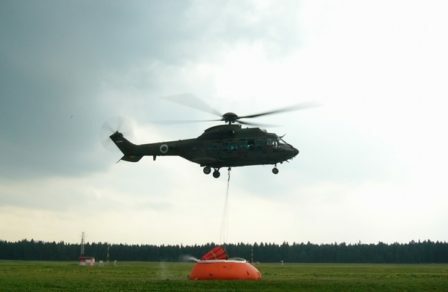 It is optimized for external cargo load operations, and is able to lift a payload of over 6,000 pounds, which is more than the helicopter's empty weight. 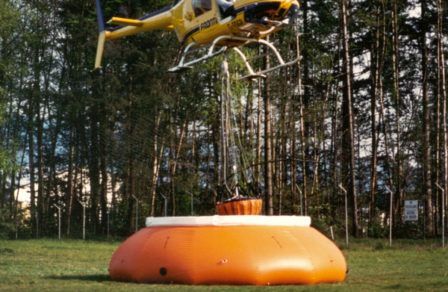 It was designed for one purpose: lift external loads. It doesn't carry passengers or much internal cargo. In fact there is only room for one person in the K-MAX — the pilot. 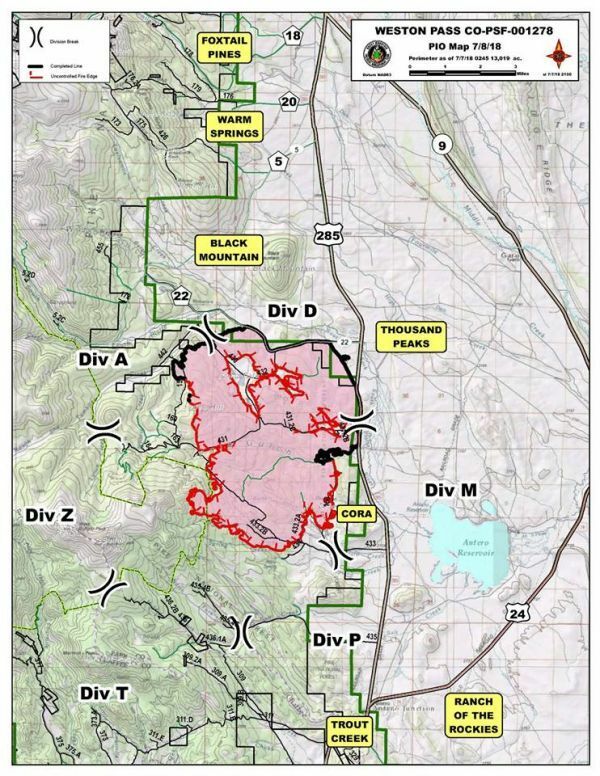 containment on the fire has increased to 34%. Today’s thunderstorms are very isolated with no measureable precipitation. Thunderstorms are expected to continue until 11:00 PM. Sunday the weather will be similar with only 20% chance of thunderstorms. Temperatures will be in the high 70s to lower 80s with winds out of the ESE at 10 mph with gusts to 15 mph. North of the fire, crews secured line along the fire edge and along the contingency line north from Rough and Tumble Creek, and west to CR 22. Surface improvements to CR 22 continue in order to repair impacts from fire suppression activities. 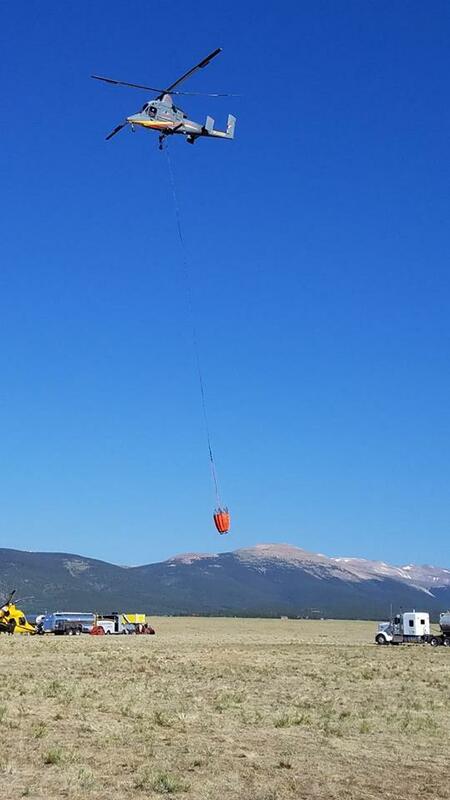 To the east fire fighters patrolled line and completed maintenance on pumps, checked fire hose and topped off the water in the “pumpkins” in the Campground of the Rockies. 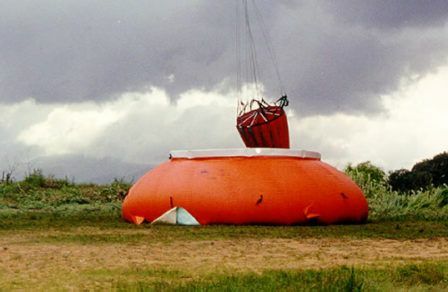 Pumpkins are orange 1800 to 2400 gallon portable, collapsible tanks that are used to store water where there are no natural water sources or hydrants. Along the south edge of the fire, dozers have constructed line to the Buffalo Peaks Wilderness boundary and completed contingency line along FS 435 road to North Salt Creek Trailhead. Crews used chippers to remove brush (fuel) that was cut to improve the contingency line. 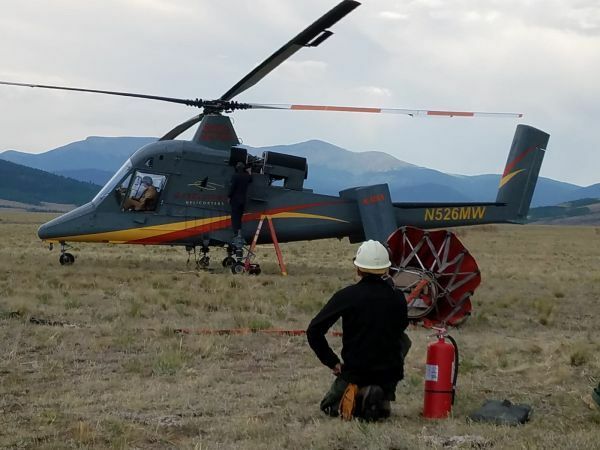 The heat in the Buffalo Peaks Wilderness Area and the direct fire received water drops to reduce the possibility of fire spread. Today all divisions are identifying lines that will need rehab (returning the land to a more natural state). See https://www.facebook.com/westonpassfire ... 358153842/ for an aerial view of the fire with a narrative from operations and fire behavior analyst. Highway 285 remains open in both directions. The speed limit is posted at 50 mph and there is no stopping in the fire area. Helicopters were making water drops on with south end of the fire earlier today. This ship is a Sikorsky Air Crane. "Winds today will shift to the east from the previous northeast pattern of the last several days. In addition to the wind shift, temperatures will be higher and humidity will be lower. The combination of wind, heat and dryness increase the likelihood of smokes. This could produce visible interior smokes, resulting from the ignition of previously unburned fuels inside the mosaic burn area." Highway 285 remains open in both directions. Evacuations in the CR 22 and CORA area remain in place. Evacuation status may change and evolve. 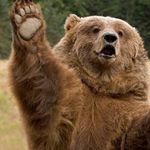 For up to date information, please visit http://www.parkco.us. Buffalo Peaks Wilderness Area is closed until further notice. Highway 285 remains open in both directions. The speed limit is posted at 50 mph and there is no stopping in the fire area. Visit http://www.parkco.us for up to date information. This K-Max heavy helicopter is headed out to do bucket work. Today, fire-surpressing gel will be added to water. Look later today for more information about these superabsorbent polymer slurries. They have a consistency almost like petroleum jelly. This type of gel is also used in disposable diapers! 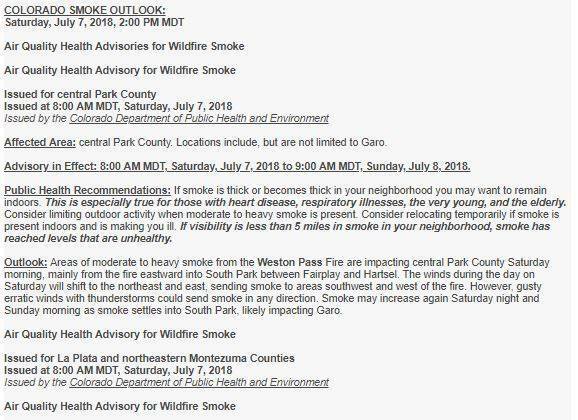 Visible smokes are expected west of Hwy 285 and south of CR22. Firefighters are patrolling those areas. "Wetting rain is widespread rain that over an extended period significantly reduces fire danger." The Weston Pass Fire area has received wetting rain.